In the last issue (#85) we discussed the obstacle: Difficulties Transferring the Facility Lease. In this issue we will explore the obstacle: Real Estate Transfer Issues. The biggest obstacle created by ownership of commercial real estate in a business sale transaction is establishing the fair market value (FMV) of the property. Commercial real estate values are much more difficult to determine than residential real estate values. As opposed to the housing market, where there are comparable and recent sales of homes to help establish value, that is not the case with commercial property. Eliminate the obstacle created by unknown values of commercial real estate. Have your property appraised, not by real estate agents, but by professional licensed commercial real estate appraisers. Commercial properties are usually fairly unique, with differing extents of construction types, build-outs of office space vs. warehouse space, size of land, types of usage, zoning ordinances to be dealt with, and the consideration of location, location, location. Since there are far fewer commercial transactions than home sales, actual sale comparables are hard to find. Asking prices are usually astronomical when compared to actual sale prices. So the few asking prices in the current marketplace are not reliable comparables. There is another complicating factor when a business owner also owns the facility the business occupies: the business value is dependent on the real estate value. Since business valuations are a function of the business' cash flow, the cost of occupancy at FMV has to be determined. In other words, if the owner owns the facility's real estate and the business is not paying the owner rent, the business shows no occupancy cost in its financial statements. In this example, in determining the cash flow of the business, the cost of occupancy would have to be considered and imputed (negative adjustment to cash flow). Before a business is valued, the cost of occupancy should always be adjusted to FMV. But when it comes to commercial real estate, it is not all that easy to do so. 1) By obtaining the FMV of the property's sale value and the FMV of leasing the facility, you can adjust the business occupancy cost appropriately and set a reasonable asking price for the business. 2) Buyers always have fear of overpaying. A real estate appraisal eliminates that issue, so you only have to reach agreement on the price of the business. 3) Based on the information received, you can determine if you prefer to sell or lease the real estate to the buyer of the business. 4) If the real estate is to be sold, a lender will require an appraisal. When a recent appraisal already exists, and the lender's appraiser is made aware of the value, the second appraiser's value is likely to be similar to the first appraisal. Consider this: which appraiser is likely to provide a higher value, the one you hired or the lender's appraiser? Isn't it a good idea to have your appraisal ready for the lender's appraisal? Benefits #1 and #2 above are key. Given the nature of commercial real estate's fluidity in perceived valuations, it's almost impossible to successfully negotiate a business acquisition because the buyer cannot get comfortable with the cost of occupancy he will face. With that much uncertainty, buyers have a very difficult time moving forward. The real estate appraisal is one of the most important preparation steps to selling a business because it addresses an obstacle that is sure to arise. Should you sell or lease your real estate to the buyer? It's usually best to allow the buyer to decide. If you require a sale, you may lose a legitimate buyer and vice versa. If the buyer leases, you have additional monthly income, or you can turn around and sell the property to a real estate investor. If you prefer a lease for the monthly income, but the buyer prefers to buy the facility, you can invest the proceeds in another piece of commercial real estate. Or, you can finance the buyer’s acquisition of the real estate and have a recurring monthly income with a lien on the real estate. In addition to lenders requiring appraisals before completion of a commercial real estate sale, in certain industries they will also require a Phase 1 Environmental Site Assessment, which can be very time consuming and create a huge obstacle. 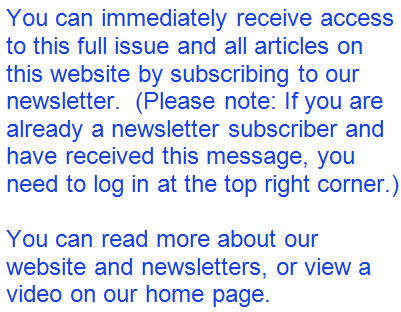 As suggested in earlier issues of this newsletter series, it is best to disclose known obstacles up front. If you own a manufacturing business, a wholesale business handling chemical, petroleum or automobile products, a dry cleaner, a gas station, or an automotive repair shop, you may be affected. Other types of businesses that might be affected include pest control, transportation, equipment rental, golf courses, skiing facilities, marinas, death care services, etc. The examples provided are not all-inclusive. One source to research for affected industries is appendix 4 of the SBA Standard Operating Procedures, SOP 50 10 5(C). If you suspect a Phase 1 Environmental Site Assessment may be required to sell your commercial real estate, obtain professional advice from environmental engineers before you decide to put your business on the market. Here is a personal example. An elderly owner wanted to sell his manufacturing business and the multi-story facility it occupied along a major highway. Before hiring me to handle both, he had a commercial real estate agent trying to sell only the real estate, without a professional appraisal, for $1,100,000. Based on my real estate research, I thought the real estate might be overpriced a little and suggested it might only be worth about $1,000,000, but told him I would not accept the listing for the business and building unless he had the real estate appraised. Here's the kicker: the appraiser had access to information that neither I nor the other real estate agent had. The key was location, location, location. With the real estate located so close to the highway, it appraised at $1,400,000, substantially more than estimates provided by qualified real estate agents. With the appraisal providing the cost of occupancy, we were able to set a realistic price for the business and sold both in less than four months.